In our conversation about Content Marketing, we’ve come to the point when it’s time to step aside from theory and make a content marketing research to have a look at the good content marketing examples. They show the best implementations of the tips we’ve been giving throughout our previous articles. This time we are glad to share 4 content strategy case studies that demonstrate a brilliant practical use of content marketing. The first one of our successful content marketing case studies and we’re starting big. Just imagine this: 574% audience growth in 6 months! Gild had begun as a company producing software to provide end-to-end recruitment. The main goal of the team was to show a new approach to hiring and to demonstrate that recruitment process couldn’t be considered a business matter only. With this in mind, Gild had to establish itself as professional in the field and a thought leader on everything that has to do with recruitment technology. Having a journalistic background, Gild’s Marketing SVP, Robert Carroll decided that content creation would be the first step on this path. Two main objectives Gild was trying to reach were to improve brand awareness and to develop a brand voice that could engage readers and provide a strong and respected opinion. As a part of its content marketing campaign Gild decided to make use of freelance writers. Though the company chose to collaborate with a content marketing agency, it wasn’t ready to leave all the work to outsourced writers and planners and actively participated at every stage of the content marketing campaign. Trying to reach out to as much audience as possible, Gild prepared a list of different distribution channels and made use of each one. Throughout the campaign it was assessing their effectiveness and was constantly working on improving the results. A/B testing has become an integral part of all Gild’s campaigns. At the beginning of this content marketing campaign, Gild’s readers spent around 15 seconds reading a feature, which is considered an average number in the world of digital content marketing. However, in 7 months this number has increased by 85%. The main reason for that was a significant content quality improvement, that resulted in attracting a bigger number of people and stimulating readers to share the articles in social networks. As you can see below, Gild managed to enlarge their audience by 574%, increase its engagement rate by 14% and raise total attention time by incredibly impressing 995%! This is truly a b2b content marketing example worth admiring. In October 2016 Gild, having previously raised around $26 million from investors, was acquired by Citadel, a global financial company for an undisclosed amount of money. InsideOut, a company providing corporate training in management and leadership, had resisted giving content marketing a try for quite a long time since its traditional sales-directed marketing system worked fine as it was. Nonetheless, in 2012 it was no longer possible to ignore the successful examples of other industries and the company decided to try it out. And now it’s on our list of highly winning b2b content marketing case studies. The biggest challenge InsideOut had to face was the creation of valuable and persuasive content that could be used in marketing to get more attention and attract leads. Use three main content types: slide-format features, articles, and videos. While articles aim at those who prefer the in-depth analysis of a subject, the other two were chosen to save readers’ time and present the information in small portions. Prioritize and schedule work to avoid outsourcing content creators. Once distribution channels had been prioritized and improved, the changes became soon visible, especially in email marketing. 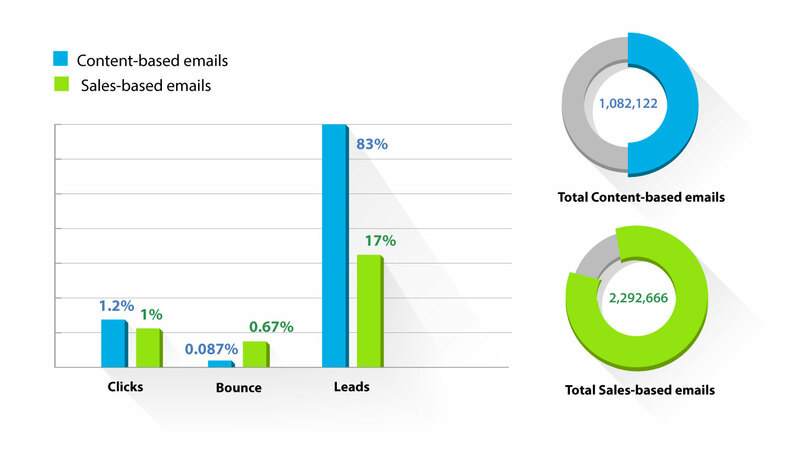 The idea of sending more emails with useful content in comparison with sales letters appeared truly effective. Soon emails became one of company’s main leads sources. As a whole, email marketing aiming at quality content generated 83% of all the email marketing leads acquired by InsideOut. Tiffany Franz, former Director of Marketing at InsideOut admits that the decision to concentrate on the content quality, make it concise and relevant turned out to be advantageous both for the company and the readers who started to get unique info in smaller amounts. In our content marketing research, we can’t omit the example of Moz. In the world of SEO, this company has become the leading voice and the real prophet, that tries to figure out Google’s next move on changing the online world. 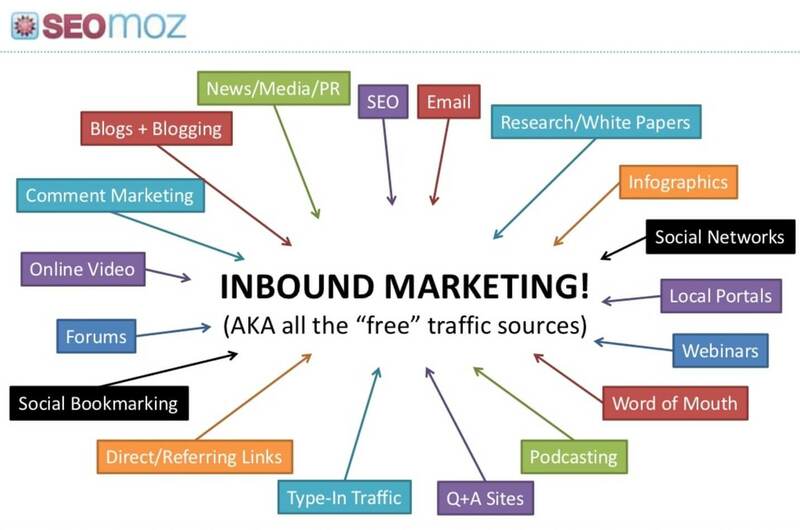 Moz, at that time SEOmoz, was officially founded in 2004 as a place where Rand Fishkin, the founder, would place his thoughts and findings on SEO topics. If you go to Moz blog today, you can still access all the articles that Rand had been publishing at that time. And you can also have a look at the amount of work that has been done since then. 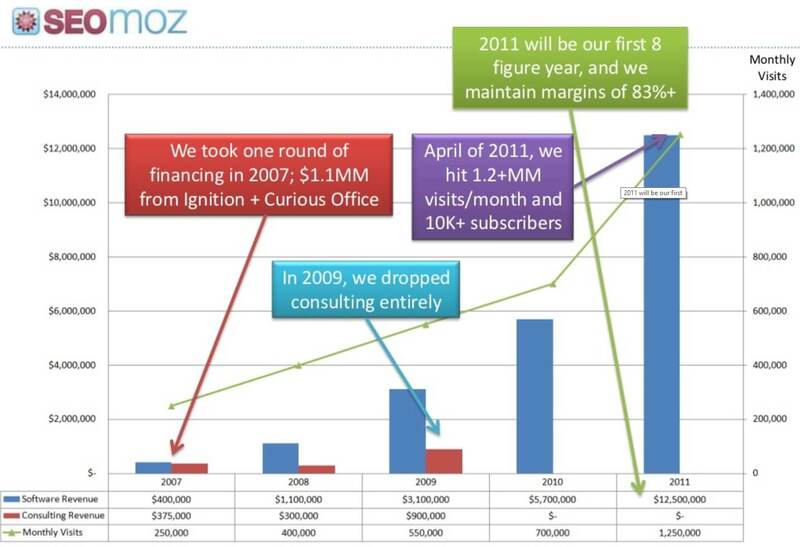 In 2011 Fishkin published a presentation sharing Moz’s path until that year, and, wow, this is a cool breakthrough! 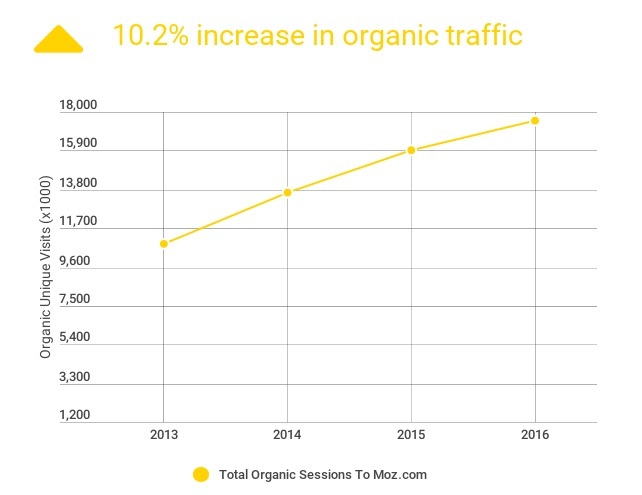 Answering the question of how it was possible to achieve such results, Fishkin said that until 2010 MOZ hadn’t directly spent any money to get customers and was using only so-called “sweet marketing” - conferences participation and relevant content creation. One thing to note here. Founders don't think they had a proper strategy from the very beginning, as Fishkin tended to act more intuitively at the start. However, we can take out some tendencies to see the general pattern. Comments. As Moz started in 2004, before social media expanded, it was a place for people to gather and share ideas on the topic, see others’ point of view and exchange opinions. Metrics. At the moment Moz is using a system that collects all metrics that exist at Moz and use them to assess the performance of any piece of content. 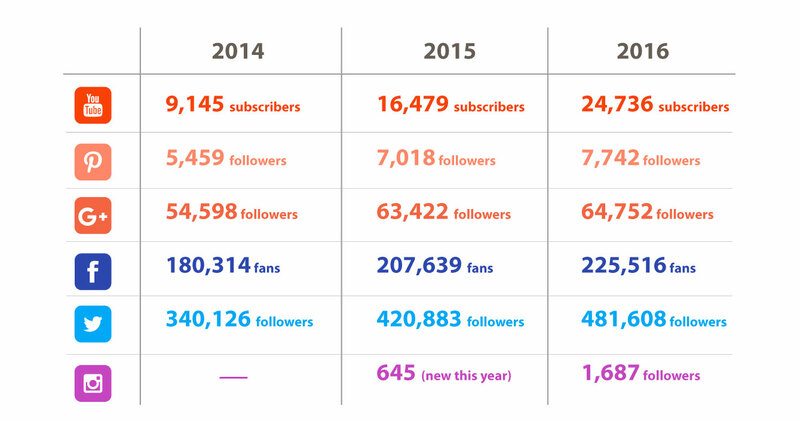 It’s interesting to see the numbers of 2014 and see a great jump in YouTube subscribers. This proves the authority Moz has acquired during the time of its existence and value of the content it provides for the users. Rand Fishkin explains these results by saying that Moz’s primary concern is the help it can provide, not the ROI it can possibly get. The next thing which can be the most significant for those who use content marketing to promote their products is the revenue. In 2016 Moz earned $42.6 million and the total number of the customers using its services was around 36,000. This is it! This is how your quality content can boost your sales and increase the profit you make! Last but not least, content marketing case study we are going to have a look at. It’s rather hard to find a person who hasn’t heard of this service. It had started with an idea to earn extra money by renting out a place to sleep and serving breakfast. That was back in 2007 when airbedandbreakfast.com was created. 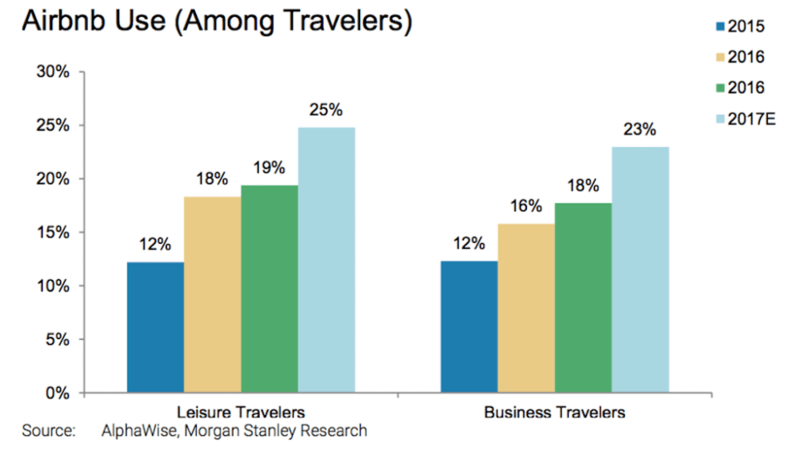 Since then, Airbnb managed to revolutionize the way people think about traveling. Beside presenting a unique product, the company put enormous efforts into a content marketing campaign to make it memorable and helpful for the users. Airbnb content marketers make sure to provide maximum audience engagement and ensure the content is relevant and competent. Neighborhoods. The collection of people’s testimonials and opinions about a place, that gives a detailed description full of tags to orientate the users and help them find the best neighborhood to their taste, bring the life into a point on the map. Each Airbnb user can participate and share his secret place or give invaluable advice to the future visitors. Hollywood and Vines. Another example of user-created content was made in 2013 when Airbnb asked Vine users to make individual short videos that would demonstrate the process of finding your place in the world. These shots were then compiled into one four-minute video. Blog. A highly attractive design, extremely valuable content for both hosts and travelers, short and concise, presented in multiple languages. Company blog stands out and once again supports an idea of bringing people around the world closer. And these are only several examples of user-generated content used by the company. Social media. Twitter and Facebook are used to promote blog posts and place fresh seasonal articles. The sources of visual content are also actively employed, especially Instagram and YouTube where Airbnb shares user-generated content. Emails. Email marketing proves to be the main connection tool not only between travelers and hosts but between the company itself and its users. George DiGuido, Head of Email Marketing at Airbnb, says that email is the most useful channel when it comes to retaining customers, and rendering valuable information. Email marketers create rich in data emails that should have immediate help for the readers. That’s why every letter is highly personalized based on a user’s previous travels and tailored to his preferences. It may include the listings in the city he’s been checking out, some advice on his future journey or a suggestion to share the impression on the last one. Revenue in 2016: $1,7 billion. 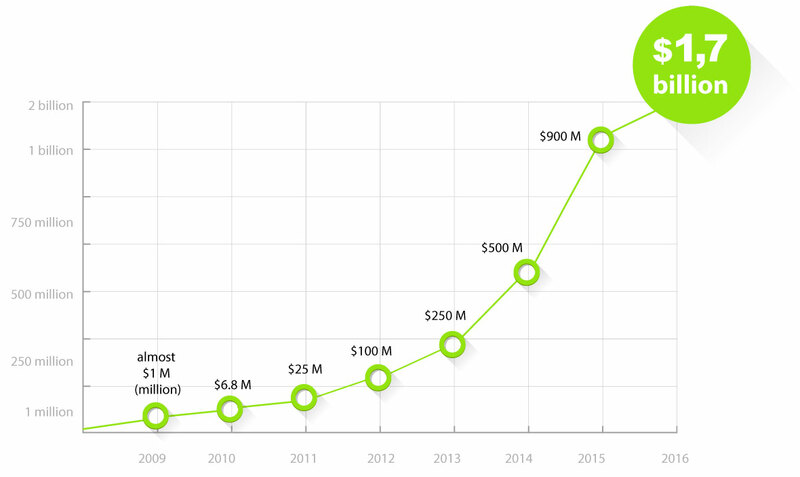 Quick reference: It started with $1,000,000 in 2009. It only demonstrates once again that content marketing is an extremely powerful tool when it comes to acquiring new customers and boosting the conversion rates. We hope these best content marketing examples that show the positive impact on brand recognition, promotion, and organic traffic attainment convince you to implement a content marketing strategy for your business. Please, share the results you have got from using content marketing in the comments below.